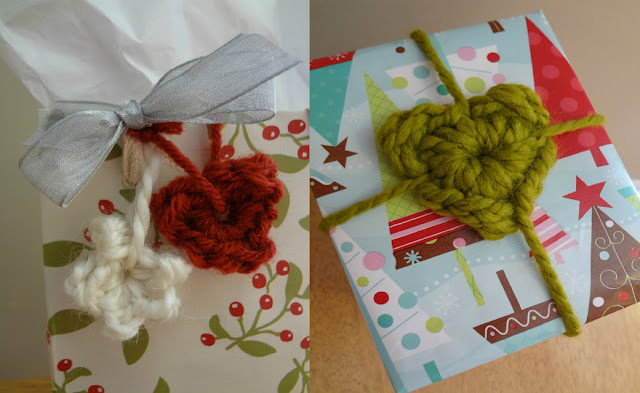 Fiber Flux: It's A Wrap...Embellish a Gift with a Stitchy Touch! 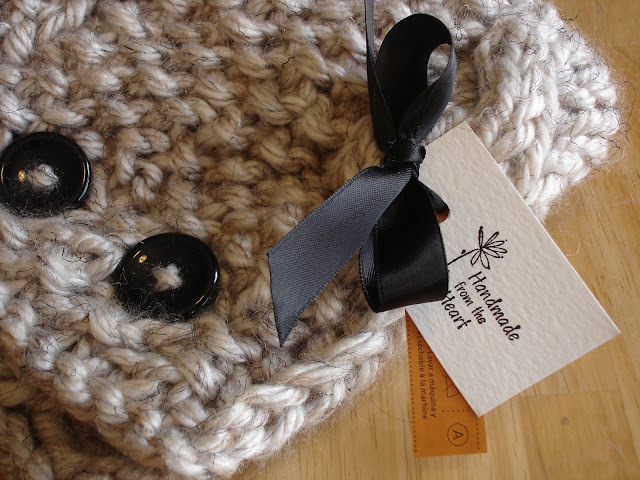 It's A Wrap...Embellish a Gift with a Stitchy Touch! I'm up to my elbows in holiday preparations! 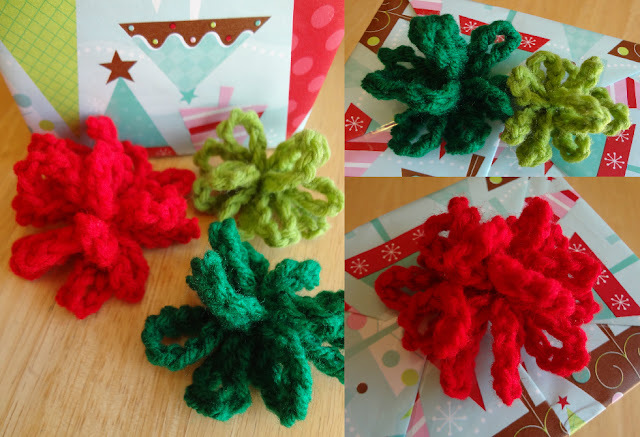 Baking, wrapping, crocheting, and knitting! This week mostly just wrapping, wrapping, and more wrapping! If you're in the same boat as me, here are 12 different ways to give each gift a special handmade touch this season. 4. 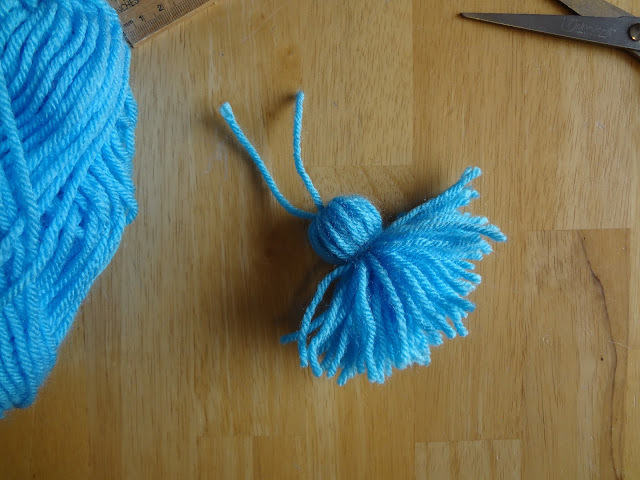 Easy Jingle Bell Garland (Crochet) How cute would this be around a gift? 10. 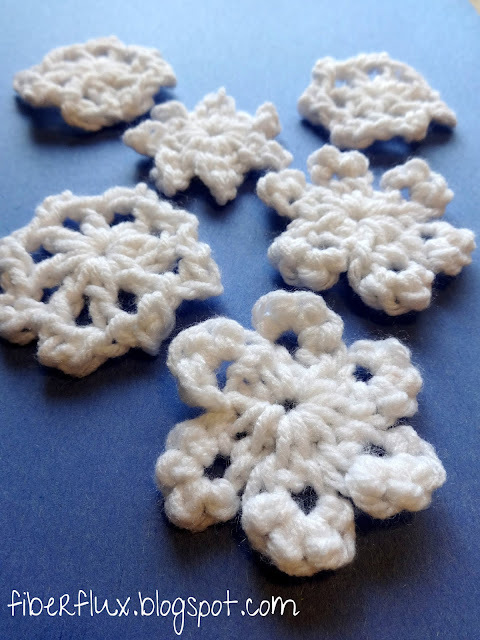 Holiday Rosette Pins (Knitting) Attach one to a gift, recipient can wear it later! Hi Jen, these are all perfect and great ideas!!! Thank you so much!